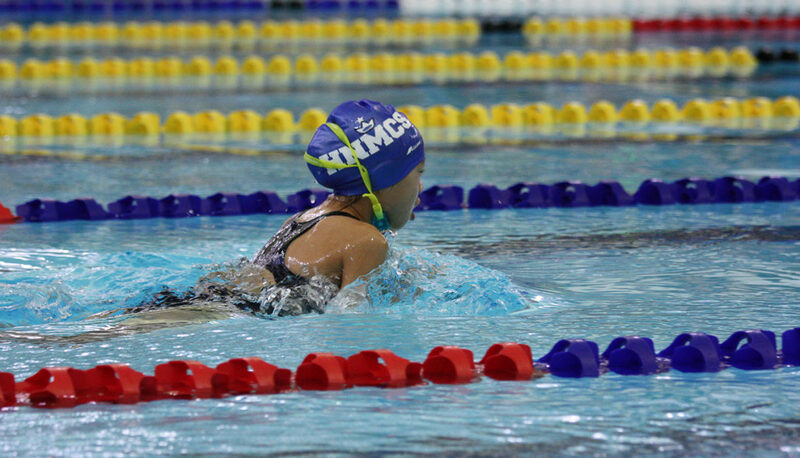 HNMCS swim team’s home base is the Recreation and Wellness Center at the University of Toronto Mississauga (UTM) campus. Each week from October to February, girls from grades 5 through 12 take a bus from HNMCS to UTM. They jump right in and work hard on swimming fitness, strokes, dives and flip-turns. 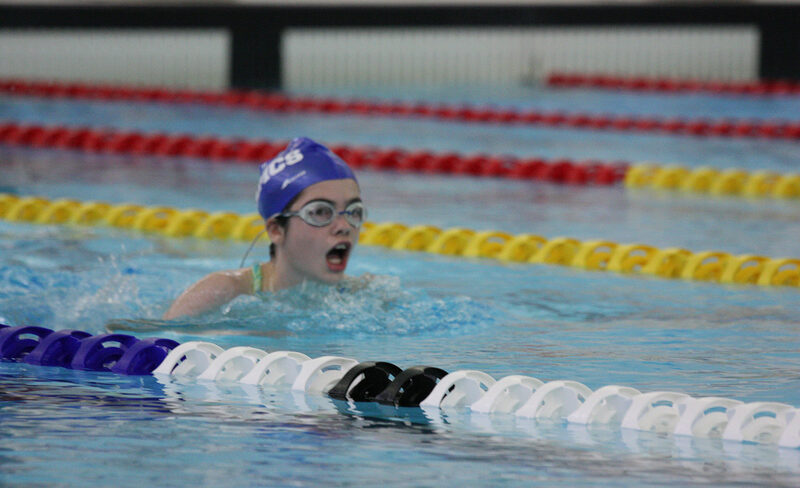 Guided by HNMCS alum parent and experienced MSSAC swim coach, Wendy Babits, the girls improved steadily in preparation for their competitive events at the Etobicoke Olympium. The Olympium was the site of the 2015 Pan Am/Parapan Am Games aquatics training venue. 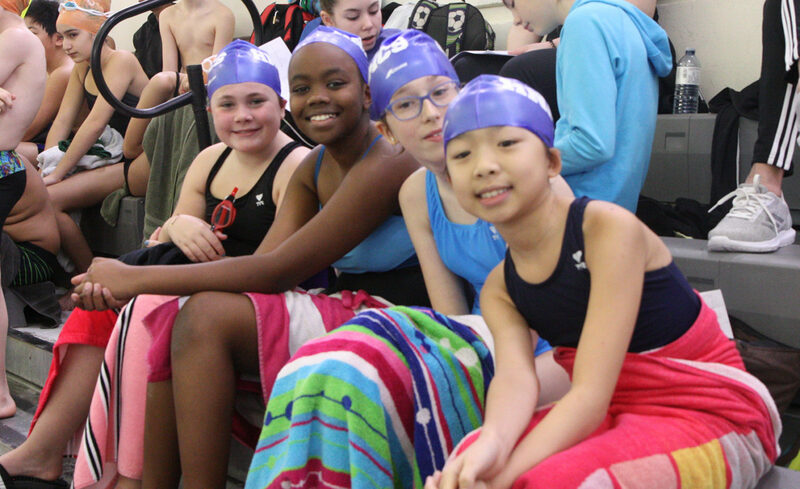 Our final competition for Middle School swimmers took place on January 9th and Senior swimmers will have their last big meet on February 13th. This was our first year playing in the Conference of Independent Schools Athletics Association (CISAA) and our hockey team did great. They tied their first game against The Country Day School thanks to Julia Fuoco’s ‘19 first career goal. Their first win was decisive at 8 to 0 against Lakefield after a long road trip. 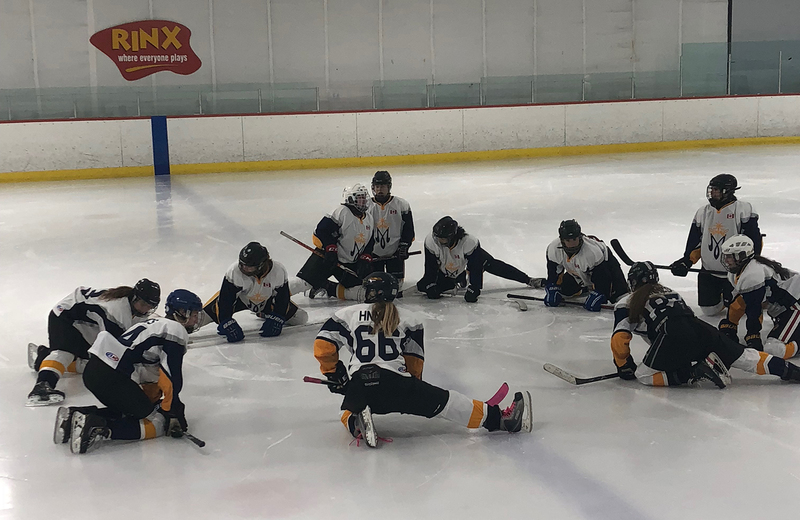 Sophia Gorgiev ‘23 scored four goals in the victory. 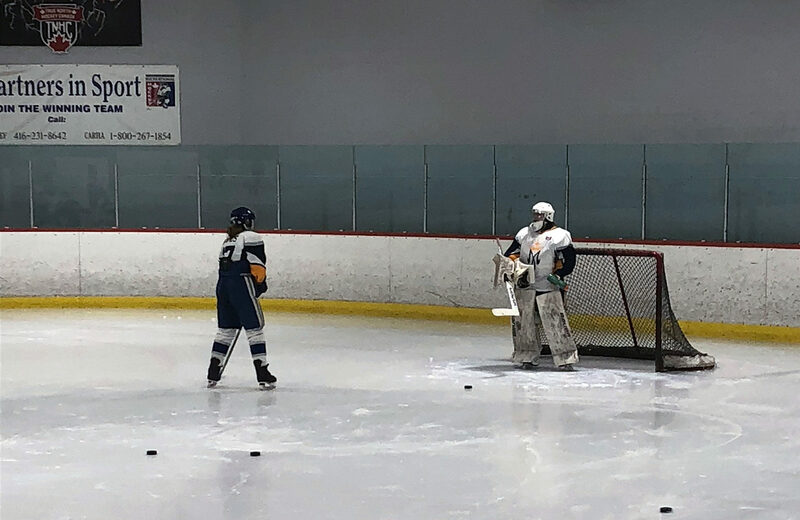 Strong goaltending by Alyssa Raitano ‘19 has kept the team competitive in every game, while Isabella Peccia ‘20 leads the team in points with five.